*Dress codes are important for both comfort and safety reasons, and will be strictly enforced. 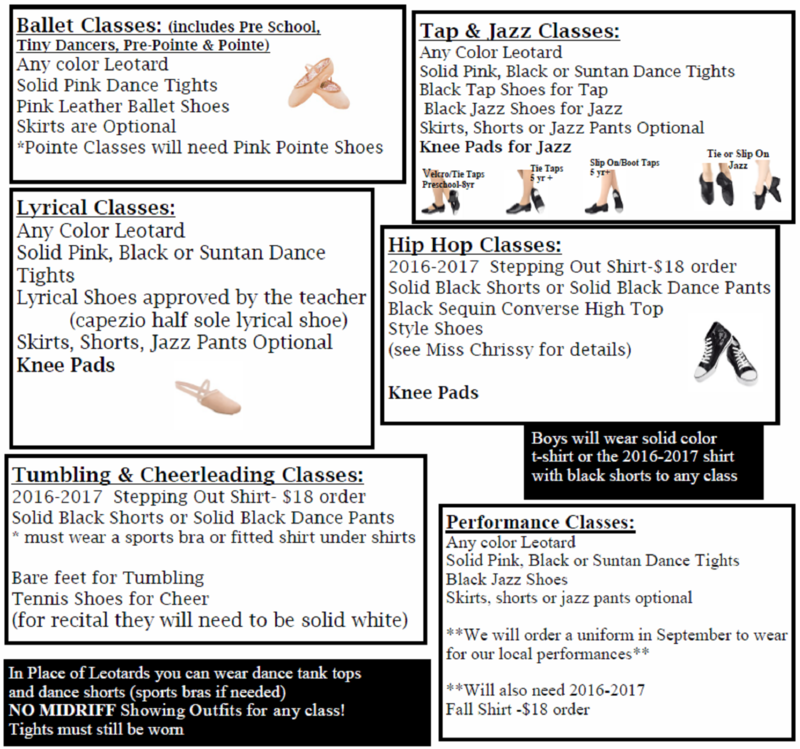 By making dancewear simple and uniform, instructors can clearly see students’ bodies and therefore make more accurate corrections regarding positions and movements. *Failure to adhere to the dress code may result in non-participation of class on that day. Teachers and the director reserve the right to have those that are not in dress code to sit out of class. ~Please write your child’s name in all shoes, clothing and dance bags. ~Hair should be secured up and away from the face for all classes! Please, no big jewelry.